22 August 2013 - What better way to scoot around town this summer than on a powerful yet agile Honda scooter? 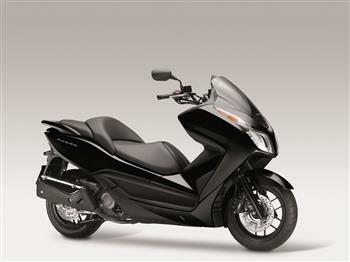 Honda's brand new Forza 300, which arrived in Honda Dealerships this week, is the ideal mid-sized sporty scooter. The compact and powerful liquid-cooled 250cc single-cylinder Honda Forza scooter is back in Blue and Silver and due for release at the beginning of December 2006. 2016 Honda Forza 300 scooter.